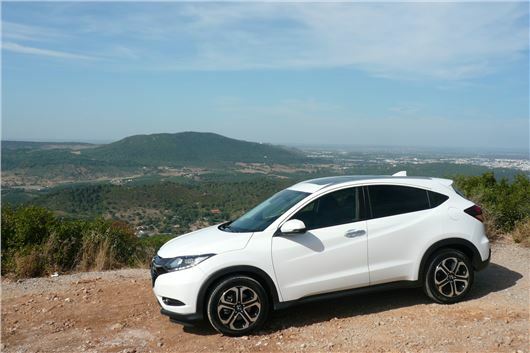 I am considering a Honda HR-V to replace my current last model CR-V as I don’t like the styling or firmer ride of the new model. I do about 15,000 miles per year. Is the petrol version adequately powered? What’s it like to drive? Do Honda diesels have as many DPF and DMF problems as other manufacturers? I’ve had none with 3 different model CR-Vs to date, so I am happy to trust them more than most. Finally, have you found a space saver spare to fit the well? My dealer says that Honda does not make one to fit. No, don't go tor the petrol. The 1.5iVTEC engine is a bit too weedy with the manual box. It’s longer geared with the CVT and happier on the motorway, but the one to go for is the 1.6iDTEC manual. I've been running one for 9 months and 10,000 miles. Original test: /road-tests/honda/honda-hr-v-2015-range-road-test// Long term running reports: /our-cars/honda-hr-v/ No space saver because the wheels are 5 stud, not 4 stud like the Jazz, and the circumference is just to great to fit in the well under the load floor. I have a DSG 7-speed auto transmission. Flashing gear indicator alternating with spanner symbol after 5 miles. May 11: dealer thought 'perhaps a computer problem.' Cured and resumed driving. 12 July: 'health check' revealed leak in Mechatronics. Sealed unit and new one needed at £2,000, but offer to replace at £496. Seems a good deal. 'OK to drive gently until part available.' 13 July: lost drive, which resumed after slowing down and selecting 1st gear; this repeated three times. Due to drive for repair on Friday 15th July. Should this unit fail in this way? Clutch plates were replaced under warranty a couple of years ago. That's the DSG that has caused massive trouble worldwide. VAG thought they could get away with filling it with synthetic oil and making it sealed for life. Didn't work and we've had more lies about that than about the emissions defeat software. For many years I have had to spend a small fortune fitting headlamp beam convertors to travel to Europe. I have recently purchased a Citroen C4 Cactus and it seem that my worries are over because according to the handbook I do not need to fit them any more. It states: "Travelling abroad, the design of the dipped beam headlamp allows, without modification, driving in a country that drives on the other side of the road to the country in which your vehicle was sold.” This seems a remarkable help if I interpret the sentence correctly. Do you agree? It is correct. Many modern headlights dip down rather than to the left or to the right. I had the clutch replaced in my 7-speed DSG automatic about 2 months ago. When it was in Drive it was acting like it was in neutral. Now it is flashing and only selects D2, D4 and D6. D1, D3 and D5 are not engaging. Faults showing are 01850 and 01855 but online it says these are seat heat sensors. I am puzzled. Another mechanic says it might be the dual mass flywheel that was not replaced with the clutch pack. Got any advice or help? Standard fault with the Mechatronics caused by the synthetic oil it is filled with becoming conductive at higher temperatures. VAG is now replacing these Mechatronics units for £496 instead of the £2,000 they would routinely cost. New VAG cars with smaller transverse engines are now coming through with more reliable wet clutch 7-speed DSGs and s-tronics designed for the fluid to be replaced every 3 years. I have started to clear my garage and wonder what to do with my Sinclair C5. It was bought from Comet on 2nd September 1985 for £159.50 (per original order/delivery note) and has never been used. Even the battery is still wrapped. Sadly, the cardboard box it came in is no longer with us. What would be the best way to sell it on please? In September 2015 I bought a used BMW MINI from a BMW dealer under the BMW MINI Approved Used scheme. It quickly transpired that the car was fitted with rear tyres over 6 years old, and that it is 8 months older than its registration date. Neither of these facts were brought to my attention at the point of sale. The owners' handbook clearly recommends that tyres should be replaced at six years regardless of other factors. The dealer says that such (mere) recommendations can be ignored. Both the dealer and its legal department have consistently evaded making any comment on the build versus registration date issue. It seems to me that a franchised dealer should not contradict its principal, especially about a fundamental safety issue. The registration date discrepancy seems very dubious to me. What are your views please? The build date v/s reg date is entirely normal for cars sold from stock rather than built to order. Even if a very specific spec of car is ordered, it might be sourced from stock if a match or a close match is found. In court you could probably push the dealer to replace the tyres on the grounds the car is unsafe and "Not as described" in the owner's handbook. Mentioning court to the dealer might get you the new tyres. I have just acquired a 2014 Honda Civic 1.8iVTEC ES. The previous owner purchased a space saver wheel kit that apparently included a scissor jack. Although she left the spare space saver, she, quite reasonably, kept the jack. I have been quoted over £100 for such an item from Honda and the salesman suggested that I source a generic jack but declined to state any brand name or supplier. Whilst I don't want to pay £100 unless I have to, I do want a jack that will take the weight of the car and be reliable in the event I need to use it. It would be useful if the whole thing stowed in the designated boot compartment. Can you make any suggestions please ? Not too difficult: https://www.amazon.co.uk/SCISSOR-WHEEL-JACK-WIND-HONDA/dp/B006IPLVGI/ £17.95. I bought a second-hand Audi A6 Allroad at the start of March 2016, mileage 34,500 and only a few days out of manufacturers warranty. I bought the car from an independent family dealership for £25,500. Within 30 days I noticed water ingress and found it to be related to the factory-fitted panoramic glass sunroof, so informed the dealer who suggested I take it to a local Audi specialist (not main dealer) for investigation and repair at the dealers cost. After a new sunroof seal and thereafter a new sunroof plus two other visits to the specialist the matter remains unresolved and car still leaks. The dealer I bought the car from has been very supportive and done what he can to date; likewise the specialists, who are now at a loss. They have noted that the sunroof profile does not appear to accurately match the bodywork profile, the sunroof having a straight leading edge, the bodywork having a slight curve in it. They think this is very odd and the root cause of the issue. The car is otherwise fantastic and something I ideally would like to keep but not if this can't be rectified. Surely Audi should be putting its hand up here and taking full responsibility as the car is not fit for purpose. The dealer I bought the car from has, at my request (knowing my rights), offered to buy the car back but not at a value that I believe only accounts for fair usage of just 4,000 miles. He offered me £22k. What are my options and is the price the dealer has offered me fair in your opinion? Legally the dealer who sold you the car is responsible, not Audi and you need to reach a settlement with him. It could even be that the car was bought back by Audi, then sold into the trade, which is how it eventually found its way to this particular dealer anyway. If he bought it at auction, he would not necessarily know the reason why it had gone to auction. I made a mistake and purchased a new Qashqai on 19-inch wheels, thinking it would be easy to buy some 17-inch at a reasonable price. They are very expensive from Nissan dealers. My plan was to fit Michelin Cross Climate tyres on the smaller rims and improve the ride on this otherwise pleasing car. They seem to be unobtainable from scrapyards. Any suggestions? Your response to KS on Saturday 16th July Telegraph is not in line with my training. I am an ex Met. Police Hendon trained, Advanced driver and we had a great deal of our instruction in automatics. It was a "no-no," to engage neutral at enforced stops. The car always had to remain in drive. The reason for that instruction was fast getaways; not preserving the transmission, not making sure you could not accidentally bump the car in front, and not avoiding blinding the driver behind with your stop lights. A lot of dogma still remains in driver's heads from the old Hendon training. Police drivers used to be trained never to left foot brake automatics, which is equally ridiculous, as is anything that patently contradicts common sense. I have a choice of two Hyundai i800s. One is a 2009/59 with 73k, the other a 2012 with 125k. Both excellent condition and FSH. My question is miles v/s age. The higher mileage i800 is near home; the other is 70 miles away, but I am not bothered about a long drive. We want one that will last a long time. Advice appreciated. Get the wheels from http://www.tyremen.co.uk/ Probably about £350 for four 16-inch Alutec alloys. Fit with Michelin Cross Climate 205/55 R16 tyres. Enjoy better ride comfort, better steering feel, better roadholding, less road noise, better grip in mud and snow, good tyre life, similar economy to Michelin Energy Savers. 225/45 R17 tyres make the 17-inch rims vulnerable to damage. I have just purchased a new Ford Trend Custom Van 2.2 TDCI 100PS that has a DPF. I was forced into this purchase as my previous van without a DPF was stolen. As I will do no more than 2,000 to 3,000 miles a year I have been told by the selling dealer to take the van on a 30 minute run once a month at a constant 70mph to avoid problems with the DPF. Is this correct? Sort of. If the van is repeatedly started to run short distances from cold then the DPF will fill up with soot that will not be passively or actively burned off. The idea of the 30 minute run is to get it hot enough to passively burn off the soot and this may or may not work. It won't engage active regeneration that takes place every 250 miles or so and because of that the engine sump may fill up with excess diesel pumped into the engine to fire off the active regeneration. There are various additives that claim to help with the process but because they may or may not work depending on the circumstances I cannot recommend any. I contacted you a few months ago as my stepson was having problems with a dealer in Kent. He had a fault with the vehicle within a week of purchasing it and he took it back to get the repair done. They returned the vehicle to him but the fault was still there (oil pressure light on). He decided to return the vehicle and asked for his money back. The garage refused and he took them to court. Judgement was made in his favour but the garage never contacted him. The bailiffs went in last week and it turns out the company ceased trading in February. He bought the vehicle in April, but was given a receipt from the former company even though it had ceased trading. I would appreciate any advice as to what course of action is open to him now? Go to the police. If your son paid a business that had ceased trading, then, unless your son paid the liquidators, it would have been a criminal offence for that business to have traded insolvently by selling a car and accepting any money for it. I am writing to express my dissatisfaction and annoyance at the way Vauxhall treats its customers. I have a Vauxhall Meriva with less than 26k on the clock that developed a code 68 fault (Steering Motor). After a little Googling, this appeared to be a common, well known problem with lots of online comments. It has been on Watchdog and Vauxhall has acknowledged it. However, it only applies to Meriva A models. Mine is a Meriva B and they charged £240 merely to diagnose that it needed a new electric power assisted steering motor at a further cost of £1,700. Any suggestions for pursuing this would be much appreciated. I took my car to the garage this morning for a service and it was crashed into main road traffic while it was being driven out of the garage. The garage owner recognised that it was his driver's fault (for not stopping to give way). My car will be mended under his insurance and I have been given a courtesy car, but do I have any other rights? Yes. You have a right to the amount of diminution in value of your car due to the damage and repair. Or the dealer can agree to buy the car from you at its trade-in value before the damage, but trade-in value is not market value so you might not want that. Our 6-gear VW Polo 1.0 TSI SEL, which we purchased last November, intermittently gets stuck when we wish to change from 4th to 5th gear. We have to revert to 4th gear and the gearbox doesn’t right itself until a couple of days later. This, worryingly, happens in particular on the motorway when changing into 5th gear as we enter the motorway from a slip road. Our dealership had the car in for 3 days to carry out an “investigation” but said they couldn’t find anything wrong with the engine and “had not come across this kind of problem before”. What do you think might be the cause of the problem, please? A defect in the gearbox? The 1.0TSI is a new model that, unlike its predecessors, has a dual mass flywheel to reduce driveline vibration from the three cylinder engine. This is likely to be the source of the trouble. The clutch on my Ford C-Max 1.0 EcoBoost started slipping after 14,000 miles and had to be replaced together with the flywheel that had distorted at a cost of £1,150. Both drivers are very experienced, do not ride the clutch, and this is the first vehicle we have owned that has had a clutch problem. Ford is refusing to make any contribution towards the cost. Surely a clutch should not fail after so few miles? Standard problem on the Focus and C-Max with the 1.0 Ecoboost 125 engine, dual mass flywheel and 6-speed transmission. It seems that the circular clutch slave cylinder leaks fluid and the end result is burned out clutch plates for which the driver is usually blamed. Very shabby treatment. I'll add yours to the C-Max entry in: /carbycar and you can show that to the supplying dealer followed up by threatening small claims track of the county court if he doesn't cough up for the repair. If my evidence isn't good enough I can refer you to my appearances on BBC1 'Don't get done, get Dom' over this issue last year. You don't say if this is an Octavia or a Superb. But I wouldn't be seeking to change so quickly because, though over 2 years a car amortises better than over 1 year, the optimum point is 3 years (which is why most leases and PCPs are for 3 years). Personal leasing gives you complete control over your costs and, because the car will be leased from a fleet, the payments benefit from fleet discounts. But nothing is ever for nothing. Before making any decision, you need to do the sums carefully. What I'd do is get a quotation for a guaranteed future value on a 3-year PCP. Then subtract that from the total negotiated price you would pay in cash. Then compare the result with the total of all your costs to lease the same car over 3 years. The reason why it was a Cat D could be that had been stolen for the engine, recovered without it, then rebuilt with whatever engine could be found. If it's a MINI One it could even be fitted with the 1.4 engine the One had from 2007 to 2009 rather than the 1.6 the One had from January 2010. If so, I think you have a case against the Vehicle Inspections company. If not, then the engine can't be older than 2010 because the BMW/PSA 1.6 was not fitted before 2010 and the old South American 1.6 from 2000-2007 would not have fitted.